The highest views in all of Tower I! (Photo of condo next door). These views from the 19th floor are unparalleled! (Photo of condo next door). 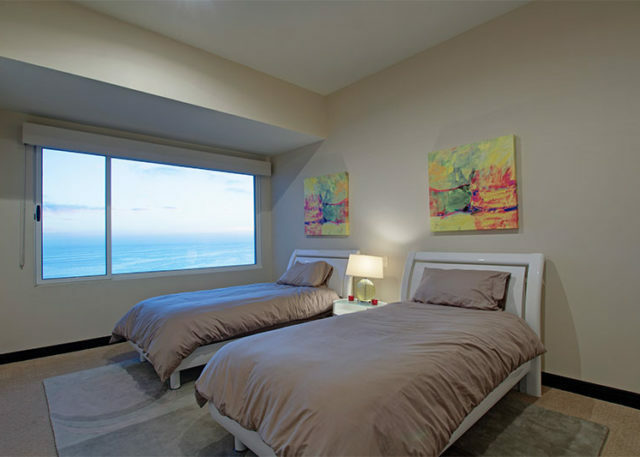 Spacious Master Bedroom with access to the balcony, walk-in closet and spacious master bathroom. Floors have not yet been installed, choose between carpet (standard) or upgrade to wood laminate or tile. Picture from next door's Master Bedroom to show you how it looks all finished. 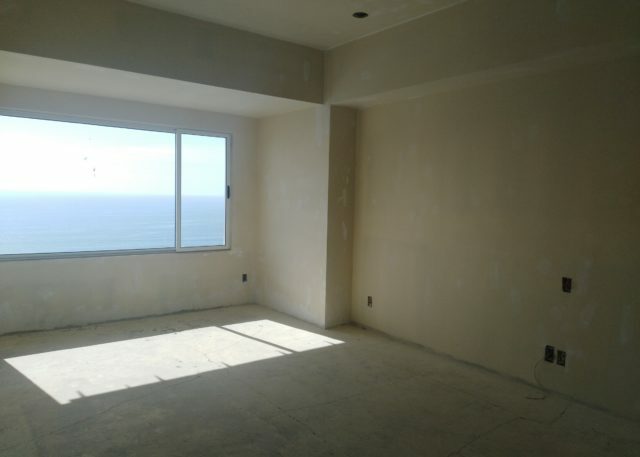 Living room, dining room, and kitchen are all oriented towards the ocean for an amazing view. The kitchen is still in progress, choose the color of the granite and the wood cabinets to your taste. This is an example of what comes included with the finished kitchen. 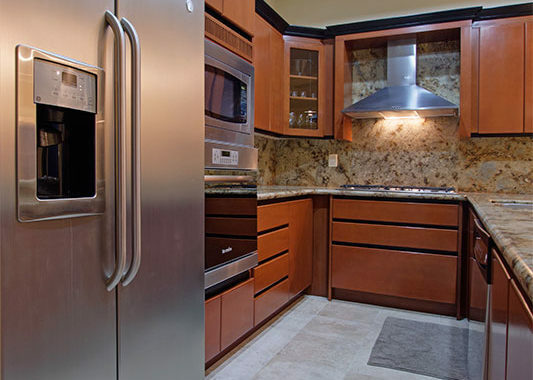 Stainless steel appliances, granite countertops and backsplash, and wood cabinetry. 2nd bedroom is spacious as either a guest bedroom or an office, or both! Example of the 2nd bedroom in the condo next door to give a better idea of the huge space in this bedroom. 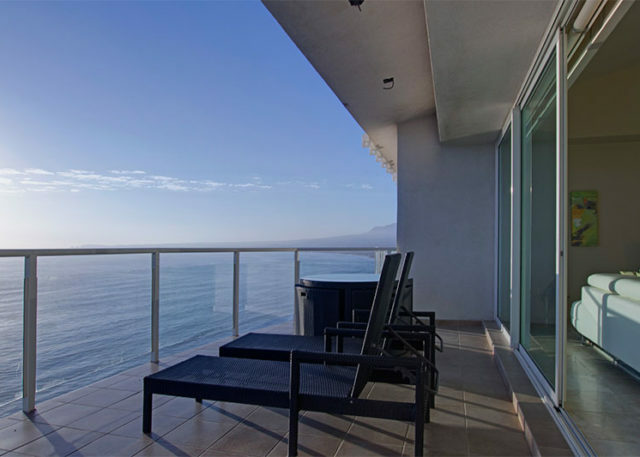 Luxury Ocean View Condo in Palacio del Mar, Baja. 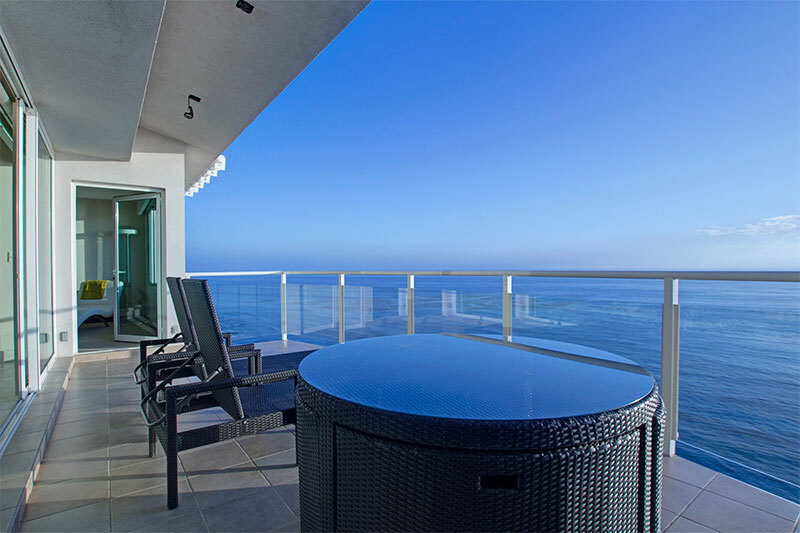 Featuring 2 bedrooms and 2 bathrooms, this 2,030 square foot condo with 180° views of the Pacific Ocean is located on the highest floor of Palacio del Mar. 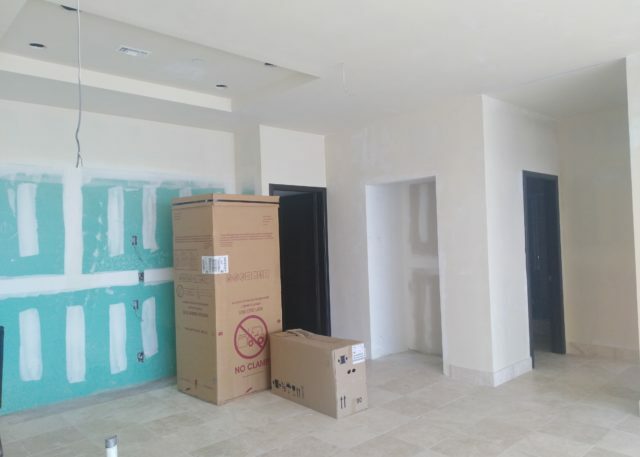 This condo is still being finished which offers customizing options to give the condo your own unique style: Over 7 different granite styles to choose from and pick the color of your cabinets. Financing available directly through the developer. 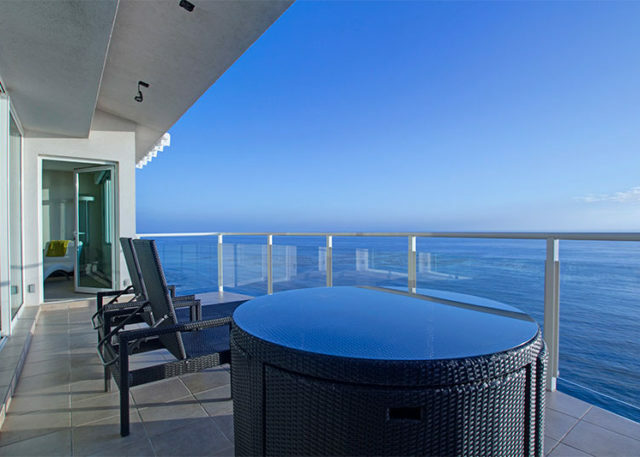 Single level, featuring Ocean Views from any room in the condo and a 180° view from the balcony. 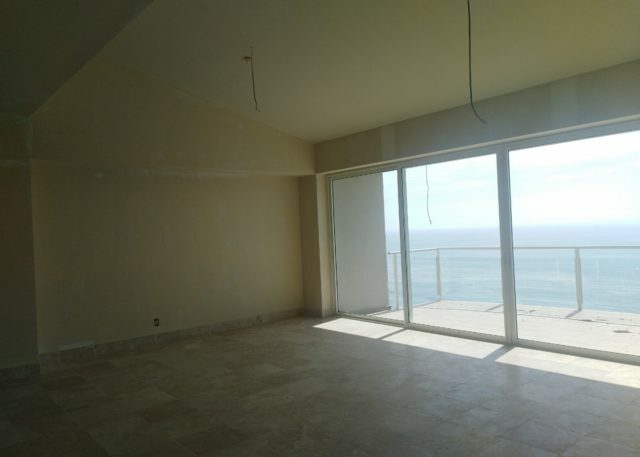 This condo has high ceilings and will feature travertine floors throughout. The bedrooms currently have no flooring installed but they will be delivered carpeted for comfort, but you can also choose a different flooring for the bedrooms as an upgrade. The kitchen will come with stainless steel appliances included (dishwasher, stove with oven, microwave, refrigerator, and sink), granite counter tops and backsplash. Plenty of cabinet space and pantry. Please see the pictures above as there is a current picture and another which shows the type of luxury finish the developer delivers included with the purchase price. Two parking spaces in tandem included underground. 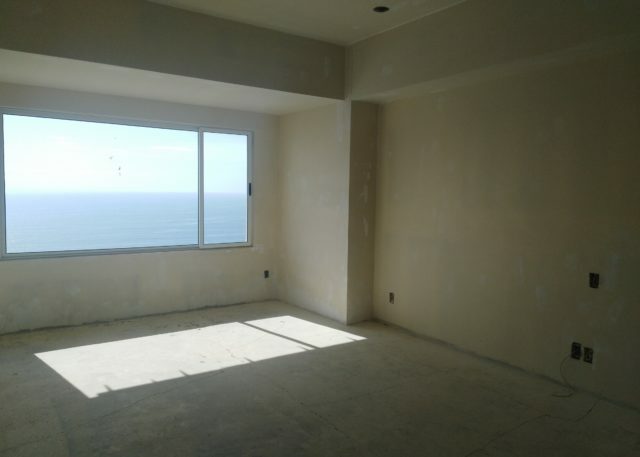 You will be greeted by an Ocean View as soon as you enter the condo. The kitchen, living room and dining room are very open featuring great views from any angle. The two bedrooms are on either side of the living area. 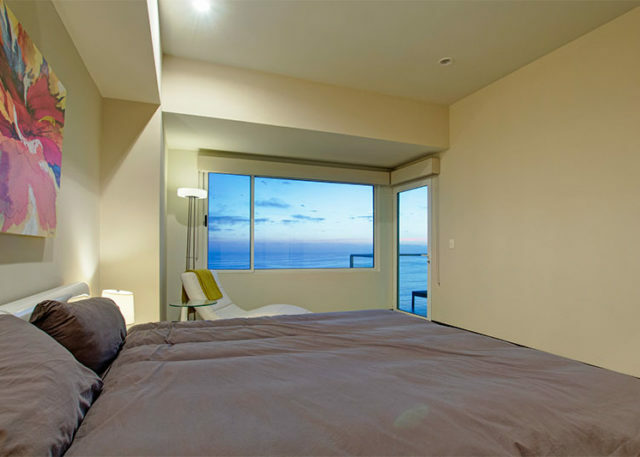 The spacious master bedroom has access to the balcony and a huge window. Walk in closet, double marble sinks in bathroom and plenty of space for additional drawers. 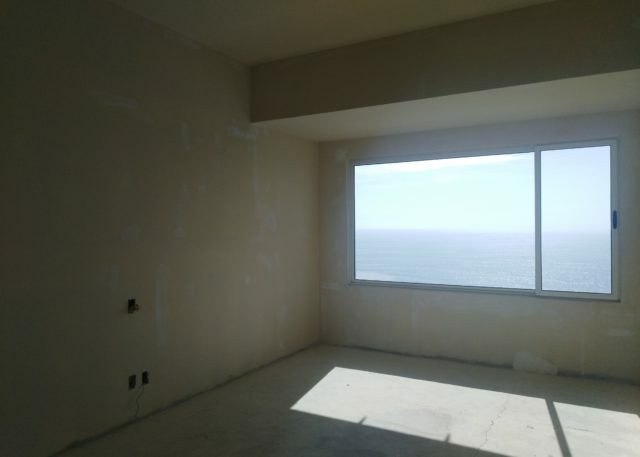 The second bedroom also features ocean views from the window and its own walk in closet. Spa with sauna and steam room, showers, lockers. Great surfing spot just south of the beach access. Dunes nearby for some 4×4 fun in the sand! Splash restaurant is 2 minutes away. Pets allowed with extra pet deposit. Please contact us to schedule a meeting to see the condo.